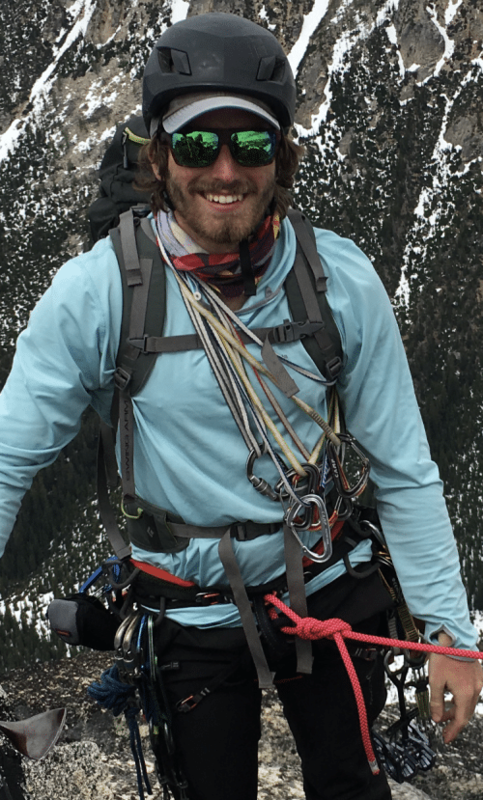 Tommy grew up camping, hiking, and playing hockey with his two brothers in Oklahoma, but he found his true passion for heights and knot-tying as a rock climber in college in the Wichita Mountain Wildlife Refuge. Throughout college, Tommy traveled the western United States and Canada, developing his rock and alpine skills. After receiving his BS in Parks and Recreation Management, Tommy traded granite for sandstone and worked as a climbing and canyoneering guide in the vast slot canyons around Moab, Utah. This is where he found his passion for showing others the mountains and otherwise inaccessible places. Now, Tommy loves to work as a guide during the summers while pursuing his M.Ed and instructing university classes as a graduate teaching assistant. Through experiences in academia, he understands the power of the outdoor classroom and looks for opportunities to teach others just how amazing our natural world is. And several other ascents throughout the Cascades, Rockies, and British Columbia.